We offer our external hard drive recovery to local customers in Los Angeles as well as to customers all over the USA and Canada with our Mail-in service. If you are too far away to drop off in person, just add this service to your cart on the left and begin to checkout to start the process of getting your data recovered. All hard drives fail eventually, and this includes external hard drives. If you had an external drive fail and you need the data off of it, we can help! We offer recovery for both PC and Mac formatted external drives. One of our goals at EliteMacTechs is to make it so you don’t have to have data recovery, so we offer data backup services you should check out if you don’t already have a great backup system in place. The pricing for external hard drive recovery is split into two levels. Please note that the charge is per drive (some external drives are “RAID” drives and have multiple hard drives in one box). $150 per drive. Level one recoveries require software based methods to extract the data. When you drop off your drive for recovery, you will pre-approve the recovery as a level 1 recovery. If we diagnose the drive and find out that it requires level 2 methods, we will seek your approval first before continuing. $300-$500 per drive. If your drive can’t be recovered with Level 1 software methods, we will ask your approval to continue with our level two recovery service. Level 2 recoveries require hardware based methods to extract the data. Seagate, Western Digital, Toshiba, Verbatim, Promise Technology, IoSafe, Buffalo, Transcend, Hitachi, LG, Sony, Lacie, G-drive… you name it, we recover it! We can attempt to recover data from any external drive. Turnaround time is 1-3 days for level 1 recoveries and 4-8 days for level 2 recoveries. We can usually give you a good indication of how long the recovery will take and what level you will need within 24 hours of receiving your drive. Once your recovery is completed we will need to move the recovered data onto a new external drive. We do not offer the service of adding the data to another external drive that already has data on it. So if you would like to provide your own drive for us to move the data onto please note that it must be erased prior to providing it. Also note that if you are shipping your drive in for recovery, you will need to include transfer drive in the box if you do not wish to purchase one from us. If you have a RAID that needs recovered we can help! It will likely be a level 2 recovery, but not always! Note that our fees are on a per-drive basis, so if you have a 4 drive RAID, the fee will be times 4. Sometimes when we work on recovering a drive we are not able to get everything off the drive. It is rare, but it can happen. When a partial recovery does occur, we let you know what we were able to recover and you can decide if it is worth the recovery fee to you. If the data is not worth the recovery fee, it is considered a failed recovery and there is no charge. If the data recovered is worth the recovery fee, you let us know and we consider it a successful recovery and provide the files to you as planned. If you accidentally formatted or erased files from an external drive that you need to get back, you need a deleted file recovery. We offer this service! You can read all about it on our deleted file recovery page. We always ask what the most important data is for us to recover. That allows us to start by recovering the data that is most important to you. The most commonly requested data to retrieve is photos and videos. Other commonly requested files are documents, music, emails, etc. All of these are automatically included during the recovery. For odd or strange file types (proprietary file types created by specialized applications), we may ask for about 20 files that are similar to the ones you are trying to recover. This can help us train the recovery software to recognize the file type you are trying to recover. External drives can fail at any time and sometimes they fail in more obvious ways than others. Here is a list of symptoms that can point to a failing drive. External drive doesn’t spin up. Normally when you plug the drive into your computer you can hear it turn on and spin up. If you no longer here it make any noise at all when you plug it in, that can be a failed hard drive. External drive spins up, but doesn’t mount. If you can hear the drive turn on, but it never shows up on your desktop, the issue could be a failing drive. Often time this issue is corruption on the drive that is causing it to not mount rather than a disk failure, so be sure to bring it by for a diagnosis to start. External drive will unmount from computer during use. When your drive disconnects unexpectedly during use, it is likely that the drive is starting to fail. When external drive is connected to the computer, the computer freezes. This is generally caused by a failing drive. Always try a different cable just to be sure it isn’t something simple, but it is very likely a failing drive causing this symptom. 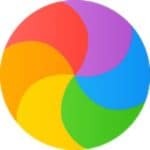 After connecting an external drive, computer displays the spinning beachball more, especially when interacting with the external drive. This symptom is almost always bad sectors on the external drive which is a type of hard drive failure. If your external drive is making more noises, like clicking or buzzing, than usual, this can be a sign that the drive is in the process of failing. It is always important to have a backup of any important data, but especially if you notice any changes with your external drive. If you external drive seems to be having a symptom that is not listed here, bring it on in for our free diagnosis so we can be sure what is going on with it.